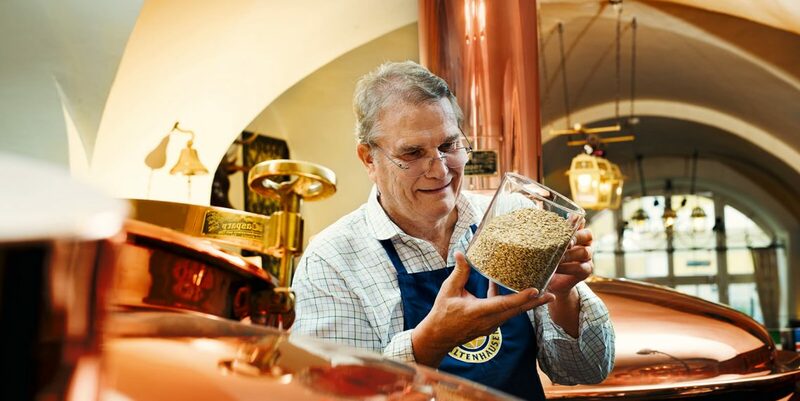 Master brewer Günther Seeleitner and his team have a command of specialist knowledge which is centuries old and still have an eye for what is new. They can express their creativity in Kaltenhausen. It is this mixture of the traditional and the modern, teamed with the highest quality standards that make the speciality production centre at Hofbräu Kaltenhausen so very special. First class beer requires first class ingredients in order to unfold its full-flavoured taste and the fine-tuned interaction of the individual aromas and components. That is why our raw materials are selected with particular care. Starting with the very purest water, via carefully scrutinised varieties of hops and barley to the special ingredients of the different editions. Entirely in line with quality and sustainability. And thus, with passion, dedication and courage, special creations for the utmost enjoyment of beer come into being here again and again.